This is the Institute of War. Look at it, all existing and everything. There are days when I really think Riot just doesn’t want me to do my actual 9–5 job. With the influx of new Summoners, I’ve spent a good chunk of today running around doing admin tasks and coordinating with staffers to ensure that they had an enjoyable first Factions experience. That done, I was just about to get back to work-work — but after seeing this rather astonishing post on the League website, I felt I had to write at least a brief comment here first. For a long time, we said, “Well, we can deal with just about any lore rework, short of the League of Legends being deleted from League of Legends.” After some reflection, I think we can deal with that, too. Chaining a game mode like Factions to something as schizophrenic and unpredictable as League’s lore has always been a challenge. Anyone who thinks we’ll give up and disband this awesome community because “omg how make excuse plot how retcon such panic” is deeply mistaken. Did you know that jimmies are a kind of sprinkle, such as might adorn a cupcake? Now you do. My jimmies are presently rustled to a considerable degree. (I’ve updated this post since the day of the announcement, and since then I’ve occasionally given into the temptation to get downright snarky over this.) I do not like these changes. I think that the most important part of a game’s backstory is that it, well, explains what’s going on in the game, and in my mind decoupling lore and gameplay as Riot is doing amounts to an abdication of what should be their primary responsibility. I don’t see the League as a constraint that limits stories, but as a framework that helps organize them and add another layer of meaning. However, this post is about how Factions will adapt to these changes, not what I would do in a hypothetical universe in which I ran Riot’s lore department. So I’ll focus on that. Riot has said that it felt forced to remove the League and Summoners, because these elements were too constraining. It stands to reason that, if we’re keeping these story elements, I should explain why I’m pretty sure this will not prevent us from telling awesome stories. (Or, you know, you could just read the lore we’ve developed over the course of more than a year.) Below, I illustrate how Factions revises these elements of the story rather than erasing them. If you’re already with me on this, just skip ahead to the next section for more on how we’re handling this in Factions. 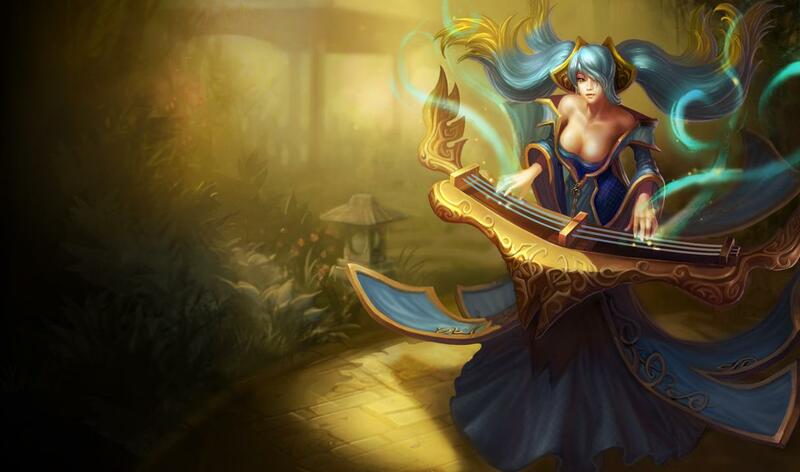 The League and its Summoners are all-powerful, making Champions look wimpy. That’s an easy fix: make them not all-powerful. In Factions canon, the League is certainly powerful, but most of its power comes from the international consensus supporting it. Remember the proclamation from Shon-Xan? Let the word of the League be as law, lest all the powers of Runeterra arrange themselves against ye. The League has some powerful magic, it’s true. For example, when combat between Demacia and Noxus erupted in Kalamanda, risking the detonation of the Nexus there, League Summoners were able to force an end to the conflict by locking both sides in a magical timestop. But this only really worked because Demacia and Noxus then said, “alright, alright,” like two brawlers who’d been pulled apart by their friends. It was an extremely dangerous move, because there was a real risk that Demacia and Noxus would have reacted by withdrawing from the League and launching a full-scale war against each other. Far from ruining the story, this dramatic moment enriched it by showing the bigger picture that was at stake. It’s impossible to have real conflict, because the all-powerful League automatically stops all war and violence. As explained above, the League (at least in Factions) is not all-powerful, and thus can’t afford to get too bossy, lest it provoke a backlash that destroys it. The League’s mandate is to prevent another Rune War, not to ensure world peace. It’s very unlikely that the powers-that-be within the Council would authorize direct action, like in Kalamanda, except to halt a conflict that truly threatened to destroy Valoran. Although it will urge both sides to resolve the matter entirely on the Fields of Justice, that’s ultimately up to the nations involved: the League will only truly demand that terms are put in place to limit the scale of the conflict to sub-cataclysmic levels. Think of the League as a court that still uses a specialized form of trial by combat as part of its decisionmaking, or perhaps as a referee who comes in and calls penalties but otherwise stays off the field. The existence of the League demands explanations for why each Champion joined, and that’s hard. I don’t think it’s that hard, especially since Champions aren’t required to spend all day at the Institute. (Mundo goes where he pleases.) Here are some quick examples of reasons why Champions might join, and cover pretty much every Champion out there. Most of them also work for Summoners. We’ve used many of these in Factions lore. Commit mayhem. Some Champions are just nuts, and like the idea of an arena where they get to slaughter people all day and blow stuff up. Become stronger. If you’re a badass and want to get even more badass, constant combat with the strongest Champions in Valoran sounds like pretty good training. If you’re a mage, the League has the most remarkable magical archives in Valoran, and presumably service to the League grants you access. Win cash and favor. I figure that most Champions are rewarded for their service. If you’re a mercenary, and you’re good enough to be a Champion, why not collect some pay in combat that can’t actually kill you? If there’s literally anything at all you want that the most powerful nations in Valoran might be able to provide, you have a good reason to fight in the League from time to time. Become famous. I think the League is at least in part a spectator sport. Some Champions crave recognition and glory. The League provides both. Maintain the peace. The League has an important mission: preventing another apocalyptic Rune War. Signing up for the League supports that mission. As Roll would say, you get to fight for everlasting peace. Represent your homeland. A lot is at stake in League matches. Joining the League allows you to represent your country in the most important disputes that decide the fates of nations. It’s impossible to make sense of mixed-faction teams: Champions would never fight against their own faction, or help their enemies. In Factions canon, Champions are normally required to fight for whoever summons them, as a representation of their allegiance to the League’s mission of peaceful resolution of disputes among nations. (Factions arcs are about major disputes where Champions are allowed to take sides.) It’s still probably rare to summon a Champion to fight against their own faction’s interests, if only out of courtesy — though bear in mind that two Champions from the same faction may well disagree on a particular issue. Consider them as lawyers who lawyer with their fists. Purposefully throwing a match would be a disgrace, and would likely be detected through the psychic link. It might even be the case that, in the typical “solo queue” match, neither side actually knows what’s at stake or who the parties are until the match is over. Champions would want to help their own faction. Factions centers around the most major disputes that come before the League, where Champions are allowed (in a deviation from the internationalist norm) to take sides. Summoners are mind-controlling Champions all day, forcing them to kill each other for sport, which is really creepy. That is really creepy, and that’s not how it works in Factions. Instead, Summoners are essentially Supports: their main role is to help their Champions by keeping an eye on the battlefield, advising them on their next move, and using magical items and other abilities to assist them. I’m not even sure it’s much different for the few monstrous Champions who are imprisoned: most of them seem to enjoy slaughter for its own sake. In short, Riot’s narrative team and I fundamentally disagree on this. That said, Riot’s always been very supportive of Factions, and (let’s be serious here) even if for some reason they disliked us we’re simply too small to be worth their time. I’m glad that League exists because of Riot. And at the end of the day, being angry at Riot or happy with Riot is irrelevant — either way, we have to adapt to follow their changes, which has always been part of Factions. I’d go so far as to say that I’ve had fun in the past thinking up creative ways to incorporate lore reworks. Well, this might be too much fun even for me, but the bottom line is that we’ll deal with it all the same. I don’t think Riot’s out to get us, but even if they were, I would tell them that they’d have to do a lot better than this. We keep Factions lore as close as we can to League canon, or at least we have in the past. The primary exceptions, of course, are the storylines themselves, beginning with the clash over the Mirrorwater (or the Prism Shard, if you’re really old school) and continuing into the present Nyroth arc. That said, we strive to explore deeper into, rather than deviate from, the characters and other elements of League lore. Until now, that’s been pretty easy. Sure, we had to handwave a few things when the Freljord rework came out, and we’ve made similar retcons in response to Champion background updates. For example, Maokai fought for the Shadow Isles back when his backstory just had him as a spooky tree; his backstory has now been changed to be actively hostile to the spooky types that control the Isles, so he’s not on the SI roster anymore. All in all, not that big a deal. This latest announcement is rather more troublesome. In the post linked above, Riot’s narrative team announces that Summoners, the Institute of War, and, well, the League of Legends no longer exist in the League of Legends canon. Uhhh. Okay. That’s going to require some discussion. The magnitude of the problem will depend on what Riot does next. I’m only sketching out some options here. Right now, we’re staying the course and making no changes to Factions canon in response to the announcement. A great deal of discussion and debate would need to take place before we would move to one of the other options, and that would include community discussion. If what they write in the future doesn’t irreconcilably contradict the existence of the League, we’ll probably just continue as normal—to be honest, they haven’t mentioned the League or Summoners for a long while, and we’ve been perfectly happy to fill in the gaps about, e.g., why Jinx joined the League. If they start pumping out lots of lore that doesn’t make any sense in conjunction with the League of Legends, we may look into some alternative options. Summoner Shinjusuke made an intriguing suggestion on the Boards: we could actually have the League destroyed in-universe. I was initially somewhat aghast, but upon consideration, I think this could be interesting. The League could disband, and the next arc could be about direct conflict, rather than League adjudication. The theme of the League’s tenuous hold on legitimacy is one we’ve been exploring quite a bit lately, for example with the Battle of Shurima in Hextech Revolution, where Demacia (a passionate supporter of the League) violated a League peace edict to attack Zaun’s dark sand mines. It might be an exciting break from the usual routine to have the League collapse, leading to an aftermath arc. To me, it seems that the spirit of Factions would call for this being at most a possibility rather than a sure thing. The outcomes of matches or interactive lore events could be used to determine whether the League stands or falls, for instance. I consider this a strongly disfavored option, but not entirely beyond discussion. We certainly could retcon prior Factions history into a League-less version, keeping Summoners in some other form. Some arcs would be easier to convert than others: Shon-Xan would be pretty easy to re-cast as simply a big war without the League as referee, while I’m not really seeing how Mirrorwater could be made into an actual armed conflict, unless the factions just really wanted that shiny spacewater. Maybe it could be made more abstract, with matches representing “conflict” in a vague general sense rather than actual warfare. Anyway, this is something that could be discussed. We’d then move into arcs where the matches represent battles and the like rather than League matches as such. This just isn’t going to happen. Community involvement and story immersion are absolutely crucial to Factions. For the time being, we are implementing the first option. I explain further below. …that Riot does not operate Factions, and does not get to tell us what’s Factions canon and what isn’t. Sure, if Tryndamere were having a really sucky day he could come by waving around his IP rights and order us to delete all references to Summoners. I’m pretty sure he’s got better things to do. Furthemore, Rioters have historically been supportive of community initiatives like this, and many Rioters have praised Factions in particular; it’s hard for me to imagine they’d ever actively try to get rid of it. Hear ye and be warned! Summoners and the League continue to exist in the Factions universe. (Take that, Narrative team!) 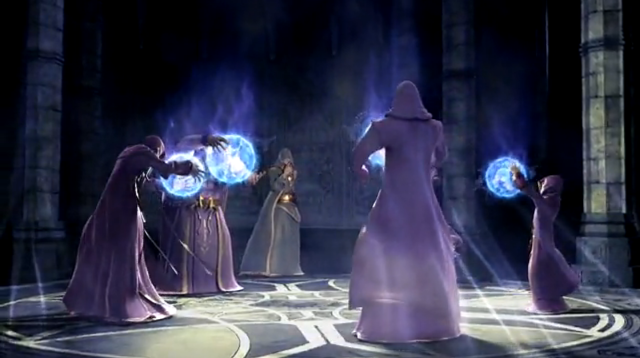 Whatever Riot says about you, around here you get to keep your purple robes and magic sphere. Back off, Riot. We shall defend our fabulous robes to the death, as long as we get to respawn afterwards. The League of Legends was founded in a desperate bid to prevent the destruction of Runeterra, when the unchecked use of high-level magic during the Rune Wars began to tear the planet apart. It has the power to “referee” wars and other conflicts, either replacing them entirely with matches on the Fields of Justice or setting boundaries on their scope. Summoners are mages who assist Champions on the Fields with their magic, watching over them from afar and using magical items and spells to empower them and enfeeble their foes. I’m drunk with confectionery power, and shall proclaim this once more: Summoners, the League, the Institute of War, and all that good stuff continues to exist in Factions. You have no power here, Riot TommyGunz or whatever your name is. But wait, doesn’t that make this all FAKE? Wow, this just got deep. Time to talk about what it means for fiction to be “real”. I hope you’re sitting down. If you aren’t, brace yourself. Ready? Okay. It’s all pretend. I don’t mean just Factions. I mean Factions, I mean League canon, I mean all of it. We don’t go around mentioning this very often, because it’s obnoxious in the same as walking onto the stage in the middle of a play to kick down the background and yell “THESE PEOPLE ARE ACTORS!” at the crowd. But this is one time when it’s worth bringing up. Sometimes, when people say “but it’s not canon”, it sounds like they’re making some weird claim about existential meaning. I think that’s pretty silly: I may not have a fancy Riot title or a fancy Riot office, but I’m pretty sure those things don’t actually give you the power to will another universe into actual, tangible existence. The closest thing any of us have is the power we are granted as toddlers: the ancient magic known as make-believe. In my opinion, it’s important for something to be canon primarily for reasons of consistency. A universe with no sense of canonicity is hard to get immersed in, because it’s likely to become self-contradictory. Much League fanfic is like this: one person will write a story about Garen killing Kat, and another will write one about them getting married and having manaless babies together, and so your immersion in one story interferes with your immersion in another. This kind of dissonance is a problem. Factions avoids that problem because there’s a thing called Factions canon. More than just a game mode, Factions provides an umbrella for all kinds of community lore activity. We referee it to keep it self-consistent. Beyond the Battlefield is wide open for any fanfic that people care to submit, and indeed becomes part of Factions canon, because we vet it for inconsistencies before posting it up. So there’s no need to worry that the Factions universe will dissolve into glittering fairy dust over this announcement: a vague non-narrative statement that “the League doesn’t exist” has no real bearing on the story, nor do bits of lore which technically involve the League not existing but don’t meaningfully rely on that. For example, Gnar’s lore was obviously written from the perspective of someone that doesn’t believe the League exists, but it’s no problem at all for Factions. It’s easy to imagine Gnar then scampering over to some friendly yordles who adopt him as one of their own, and perhaps Gnar deciding to go fight in the League as a show of gratitude to his new friends, or just because he’s kind of bitey sometimes and wants to hunt. If you believe that being “canon” is about existential legitimacy, then (as explained above) I think you should reconsider your views on the universe. If you instead view “being canon” as a matter of self-consistency and universal integrity, then let me assure you, Factions canon remains quite intact. For various reasons, we want to avoid clashing with League canon. If they remake Garen as a Noxian, and his new voicework is a bunch of quotes about how he will destroy Demacia, we’ll need to do some retconning to keep that consistent, because it’d be weird asking people to play Garen on a Demacian team while listening to him rant about how Jarvan must die. Likewise, if the new lore really is incompatible with the League, the lore team and I might have to spend some late nights figuring out how to rewrite the history of Factions without the League. Whatever happens, don’t worry: we’re all masters of the handwave, the lampshade, and other fictomantic sorcery. And LoL’s story has always been 90% excuse plot anyway. I’m being completely serious when I say that much of the fun of Factions lore, which I view as a kind of constrained writing exercise, is steering around the crazy plot holes and lore retcons that come out of Riot, and enjoying the wonderful mayhem that comes about in the process. Because they totally exist. And so do you! Around here, at least. I really don’t think there’s any need on your end to make this kind of definitive statement- not until Riot does. I mean, all we know so far about the League/summoners/IoW being non-canon causes as many plot holes for the official lore as it does here. It isn’t really a retcon so much as Riot notifying us they’re ABOUT to retcon. In other words, wait and see exactly HOW Riot intends to rewrite their story before you rewrite yours. Thanks for posting this so quickly, CupcakeTrap. These are uncertain times, and it’s good to know Factions will be relatively stable. You’re welcome! I felt I had to make some kind of statement. Fear not; whatever crazy stuff Riot posts in the coming months, we’ll work it in somehow. All bow to his frostingness and his frosting magic, Long live the summoners!!!! It kinda feels like that while faction lore writers actualy managed to do interesting stories around the institute and summoners the official team failed and dropped it. Am i the only one who feeled this way after reading the official post? I think the problem lies in the lack of whoever wrote the original lore stories of some of these champions. For example, Heimerdinger, Twitch, Xer’ath, Maokai, and more have had, at times, DRAMATICALLY changed backstories. I feel the fault lies in those who re-wrote those, instead of Riot picking up the ball with that AMAZING work (in my opinion). Seriously, I am usually on Riot’s side about practically EVERYTHING. Lore reworks, game design reworks, visual reworks, everything. And I still feel that they are doing the wrong thing. Just giving up…look at what the staff has managed to do, and Riot Lore Team just didn’t bother with the game they were given. Pretty much everything I’ve agreed with in some capacity or I could see why they’d do it even if I don’t agree with it. However with this, I can see the reasoning, and I can also see all the problems with this reasoning. 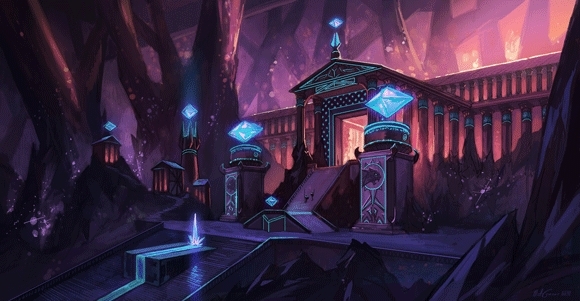 To me though it sounds like Riot’s decided that their lore needs to be more like the factions lore with the dynamic world where the champions meet and interact, which is good, but they took out the coolest part to me which was that they could incorporate it into their game and it still makes sense. Not the only one. In Factions, Summoners were political figures and powerful magi that helped shape whatever nation they “backed”. Champions still did their own thing(Mundo decided to use our Warpgates to “Go where he pleases”), and thus, were ALIVE. Now it seems that Riot wants to just segregate lore and game, with the lore just being “This guy did this thing, isn’t he cool! ?”, which removes the satisfaction of Dunking Demacians with Darius. I actually hope that Factions can just split away from the League Lore entirely, hoping that they don’t drastically change champions and their lines. Fingers crossed that the Lore team doesn’t actively go against the idea of summoners.